Welcome to our main interior design styles where we provide access to the main styles. Below is a gallery setting out each style. Just click into it and you’ll be at that particular style’s main page. You can filter your search from there. Below is a listing of 18 main interior design styles with links to photo galleries for each individual style. Our traditional home decor style guide includes an extensive photo gallery that includes all rooms of the home. Traditional interior designers are those that are heavily influenced and inspired by the old European décor that gained popularity, particularly during the 18th and the 19th century. They are big on heavy furniture and fittings that are still very stylish and elegant. This type of interior designing is perfect for those who love decorations and styles that a have rich history behind them for instance, classic art pieces, antique elements, and symmetrical objects. Some key markers or features of the traditional interior designs include rich tones, dark woods, and sophisticated colors. The most distinctive feature is that the walls are often painted with neutral colors so that the furniture and decorative accents can be highlighted. The ‘traditionalist’ also loves creating intricate architectural details like wood paneling, coffered ceilings, in-built cabinetry, etc. One of the most vital aspects about traditional interior design is ‘symmetry’ which means that everything from sofas to lamps to accessories has to be in pairs. The underlying idea behind this is that there should be a balanced space centered on a focal point, which is usually the television, a decorative art piece or the fireplace. Nevertheless, builders and architects are incorporating modern elements to many homes which is kind of cool; but moderating it with materials, angles and lines that add warmth. Modern interior designers are also described as super “sleek” since they have an unparalleled love for simple palettes and designs that are often coupled with clean, crisp angles, and lines. They absolutely hate clutter and always strive towards removing extraneous objects from the picture. Their designs are fresh, elegant and have a sense of simplicity in every style that they create. Unlike contemporary designers, they love adorning spaces; however, they do it with such skill and subtlety that you won’t even realize there is something “extra” in the design. Modern interior designs also include elements and materials that provide you with an overall warm and comforting feel without being too loud or bold. One of the most distinctive characteristics of these interior designers is their tendency to use monochrome palettes. Black and white are usually their go-to colors, often with hints of other primary colors like blue, yellow and red. Contemporary design style is often confused with modern design style… usually references to modern are in fact contemporary design. Contemporary design is current design which includes open spaces, plenty of light, straight lines, plenty of glass, settel and wood and in some cases unusual layouts. Lighting design used as an artistic statement. Contemporary designers create designs that are more fluid, in the sense that they are according to the current, trending styles; however, they don’t resort to a particular style or design. These designers also have a great sense of what’s currently in style so their designs are constantly evolving and carry a very modern touch to them. In today’s time, contemporary interior designs include unadorned spaces that appear to be super clean and classic, along with furniture that is exposed from its legs to create more space. As stylish and modern contemporary designs may be, they are yet super elegant with intricate details kept to a minimum. Transitional interior design style is an elusive style that spans multiple styles tying traditional or long-standing styles together with modern or contemporary design elements. It’s extremely popular right now among designers. In fact, it’s very easy to confuse contemporary with transitional and in fact for both types it’s often easy to argue a particular interior design is one or the other. Textural elements such as wood, glass, lacquer, rattan, fabric, steel and metal. Check out our vast gallery featuring transitional designs. Click button above. Midcentury style is a package deal. While some homes can have a different exterior style to the interior, that doesn’t really work with midcentury. The midcentury home must be midcentury outside and inside. It’s a distinct look with clean lines, sparsely furnished, often not terribly large (but can be) and of course give off the 1950’s and 1960’s nostalgic look. I had the privilege to do a driving tour of midcentury homes in Palm Springs and even managed to check out some open houses of a few midcentury homes. They are definitely cool. These interior designers take you back to the 1900s with some of the most iconic interior styles and designs. Mid-century modern interior designers offer you a unique blend of minimalism and a kind of an ancient retro look. The main theme followed by these designers is “fussy-free” which is usually accompanied by crisp, simple lines, rusty metals, a lot of wood, subtle silhouettes and hues of blues and greens. These designs are believed to be a break-free from traditional design conventions that have taken a direct plunge into the modern era. Some typical designs adopted by mid-century modern interior designers include simple fabrications, pared-down forms, molded plastic plywood, and natural-shaped furniture like an egg-shaped chair, for instance. Their styles and designs are often somewhere along the lines of ‘contemporary’ and are super versatile, which makes the transition simply flawless. Shabby-chic is big these days with the popularity of vintage and DIY home decor. While I don’t want to say shabby-chic is a full crafty style, thee are definitely craft elements that people like such as distressed furnishings, floral prints and design elements and whitewashed floors… all of which are popular DIY projects in the home. The Shabby Chic interior designers draw quite a significant chunk of their inspiration from the vintage designs and styles; however, they are more focused towards creating feminine, soft and delicate designs. Most of the furnishings used by these designers appear to be distressed and aged and contain a very antique kind of a finish. The aim of this type of interior designing is often to blend together features of contemporary and modern styles with a scruff and ragged finish. Some key elements include wall hangings, flimsy light fixtures, linen textiles and a mixture of white and pastel colors. Industrial design became popular in the 1990’s as many North American city centers started enjoying a refurbishment by converting old manufacturing facilities and warehouses into condos and multi-unit residential buildings. Instead of covering up or removing all the remnants of the space such as brick walls, exposed pipes and electrical wires and putting in interior walls, developers created large, open units preserving the old floors, walls and keeping much of the pipes and wiring and beams exposed resulting in what is known as industrial home decor. Industrialist interior designers make everything about exposed and raw materials. As the name suggests, the majority of their inspiration is drawn from things like an urban loft or perhaps an industrial warehouse. Some of their key elements include dangling metal fixtures, high ceilings, sparse furniture pieces, and stripped back floorboards. This type of designing is mostly all about obtaining a cold, eerie look. However, many designers may use statement lights or pieces of abstract art and photography to add in a pop of color and delicacy. The industrial interiors are often described as ‘truly rustic and mature’ considering it thrives on the liberal use of wooden elements and exposed steel. Have you picked out your favorite type of interior designs yet? You can even mix up elements and features of different designs and give your home a whole new look. Eclectic design is a showcasing of contrasting elements including colors, furnishings and materials. It can easily be overdone to look terrible, but when done well, the contrasting aspects can be tied together to create a cohesive and attractive design. Defined by contrasts and variety. Eclectic interior designers are best described as diverse and playful since they love mixing new styles with the old ones and creating something absolutely fresh and unique. They tend to borrow ideas from a variety of different trends, styles, and also from different time periods. These designers are all about breaking the rules and having a little fun of their own. Eclectic designs provide a great canvas for designers to work their magic on and come up with something outstanding. From the looks of it, one might think of these designs as haphazard or chaotic, however, there is a very fine line between aesthetically pleasant eclectic designs and those that are merely created without any measured motifs or themes. While eclectic designs are indeed very assorted and kind of like ‘all-over-the-place’, they still have a sense of balance to them and are a true definition of a ‘cohesive blend of designs, colors and patterns’. In my view the beach style should be reserved for houses on the beach. It’s kind of odd to have a nautical themed home in the burbs. This style includes light colors with splashes of bright colors such as navy blue and even bright colors, loads of natural light (i.e. windows), nautical accessories such as rope, dark wood and other items found on boats and wicker or rattan furniture. Nautical interior designs are best described as positive, warm, and relaxing. The primary reason is that they always make you feel like you are near the ocean. Interior designers who follow the nautical theme typically make use of elements like sea creatures, ships, and anchors. Their color palettes are also full of those that you would see on the beach, which is why the nautical style is also referred to as the “beach-inspired” look. These designers strive towards making your home truly comfortable by using an abundance of white, blue, and sand-colored foundations, along with inexpensive wooden furniture and hues of oceanic blue. Some key characteristics of nautical designs include chic linen upholstery for lounges, unfinished wood used in chairs and tables, and sea-inspired decorative accents like jute ropes, seashells and rowing oars. Farmhouse is similar to country or rustic design styles except that it’s typically lighter, incorporates some shabby-chic, enjoys plenty of natural wood and gives an aura of a cozy feel. Mediterranean is a style that seems more popular than it is. A few years ago I was under the impression a lot of homes embraced the Mediterranean style, but in actual fact, it’s not that widely used. It’s distinct with plenty of ornamental styling and features including columns and arches. It also has a distinct color scheme being earth tones. Light wood flooring dressed up with rugs in subtle color. Inspired by the simple lifestyles in the Nordic countries, Scandinavian interior designers provide timeless interior designs and styles that are greatly characteristic of the fjords, snow, and mountains found in those countries. Their designs are a true representation of pared-back coziness, a myriad of textures and some clean, refined lines. They are a beautiful work of art, but always so simple and subtle. Scandinavian designs are big on space, fewer accessories, natural light flowing in, and minimal furniture that serves some purpose. This take on the interior style and design follows the “Bauhaus principles” that make use of fluid lines, all-white color palettes, wide plank flooring and a strong focus on object proportions. The designers also ensure that they use playful accent colors, organic materials and gentle contours. Scandinavian designs are best described as modern, practical and uncomplicated. Rustic interiors are truly raw, often with unfinished elements that are typically made of stone or wood. Interior designers who follow the rustic theme derive most of their ideas, styles, and designs from natural inspiration and also tend to include accessories that mostly come from outdoors. 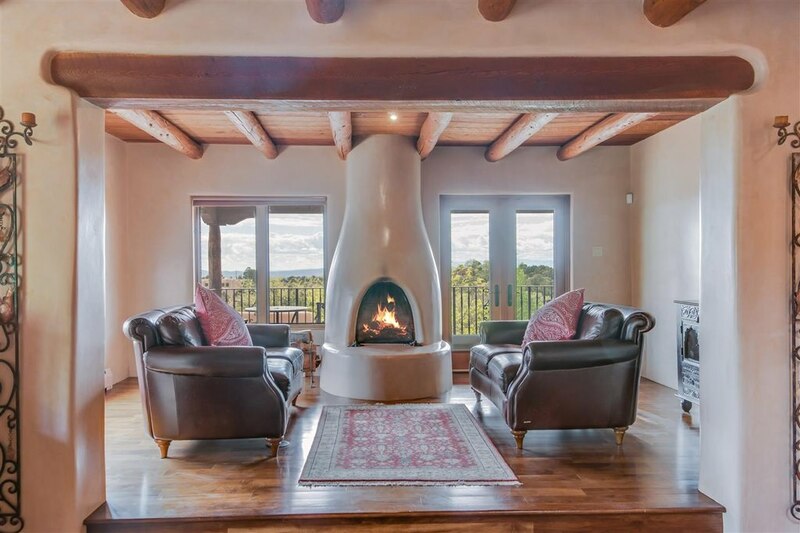 Most of the accessories they use consist of elaborate architectural details and dramatic features like reclaimed wooden floors and perhaps, ceilings that are decked with wood beams. The main focus of rustic interior designers is on raw, natural, and unrefined elements that are bold and blatantly real. These designs also have quite an earthy and organic touch to them. Many people consider rustic to be really dark and heavy, however, there is a trend of ‘modern and contemporary rustic’ that has been making waves lately and it is a fresh, light, and grounded take on the ‘original’ rustic theme. Use of curtain walls, door panels or Japanese tokonama. Wooden flooring with a red carpet. Floors made of rustic brick or terra cotta tiles or mosaic with patterned rugs. While not terribly popular these days, the Victorian style is used in older homes by homeowners looking to preserve Victorian era homes, of which there are many in the United States. Bay windows, sometimes with stained glass panels, walk-out versions or built-in bench. While not technically an established design style, we list it because it’s a style people look for. There are styles that are minimalist such as modern and midcentury design styles. Minimal interior styles and designs consist of ultra-clean lines and streamlined furnishings that have nothing flamboyant or glitzy about them. They also pick on air and neutral color palettes that provide a great sense of warmth and coolness to the eyes. The minimalist trend is believed to have been started sometime during the twentieth century and was initially influenced by the super simple and delicate Japanese designs. Modern minimalist interior designers always make use of black, white, and primary colors. Their designs are truly simplistic and nothing less than work of art. Like minimalism, vintage isn’t an establish interior design style, but it’s also a look that people want so we include it in our list. While they come off as old-fashioned, vintage interior designers have a great aptitude for versatility, creativity, and imagination. They create absolute masterpieces that always tell a story and seem to have a rich history. Vintage interior styling focuses on minimal clutter and puts forth a very clean, crisp, and classy display of furniture, decorative accents, and designs. These interiors also often include old frames and photographs that are usually black and white in order to give the entire space a very old yet stylish look. You may also see a variety of open shelves in most vintage designs which allow one to show off their classic vintage accessories and items. Bohemian interior designers are known for their use of those interior pieces that seem to possess nomadic and ethnic vibes. They also love playing with vibrant colors and rich patterns that appear to be bold and loud. An interesting yet key characteristic of these designers is that they purposefully make things look messy so you will often find them mixing around different colors and a variety of elements like pillows, throws, rugs, etc. The Bohemian-style interior is also a true representation of the avant-garde lifestyle that is known for its adventurous and carefree spirit. So, these designers also try to display these features in their styles and designs. Some trending modern bohemian designs include those inspired from southwestern, Moroccan and tribal styles that may typically consist of animal hides, metallic accents and wood. Undoubtedly, the Hollywood Glam interiors designers are by far the most modern and stylish of all. Their key characteristic is that they are super luxurious and over-the-top in their interior designs. They love to create big and bold statements with the help of dramatic and opulent design styles. 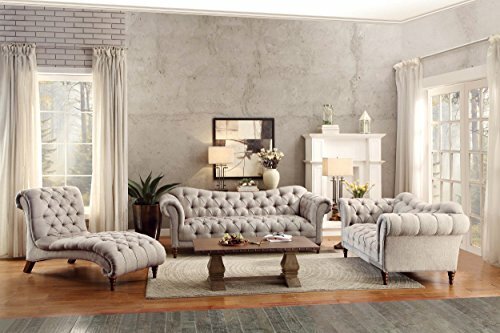 Most of their styles and designs consist of Victorian inspirations with antique furnishings, plush and velvety elements, and magnificent decorative accents. The color palettes used here are usually very bold with beautiful blends of turquoise, reds and purples. Related: 32 Home Architectural Styles – this explains the different architectural styles for homes as they appear on the outside.